Looking for a Seattle weed shop near you? Have a Heart Greenwood is the premier pot shop serving the North Seattle, Greenwood, and Ballard neighborhoods. Conveniently located on the corner of 85th Street NW & 3rd Ave NW, Have a Heart Greenwood is your source for recreational marijuana in North Seattle. Looking to spend the day strolling Greenwood Ave or the shops and breweries of Ballard? Come check out our selection of Flower, Pre-Rolls, Concentrate, Edibles, and Topicals. Thanks to our lasting relationship with several local growers, we are able to bring you a huge inventory of high quality cannabis at an affordable price. Our knowledgeable and friendly staff will make sure you find what you need, and leave truly satisfied. 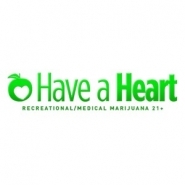 Stop by Have a Heart Greenwood for all of your North Seattle cannabis needs.